First degree in Biotechnology and Food Engineering at the Technion. PhD in Systems Biology at the Harvard Medical School. 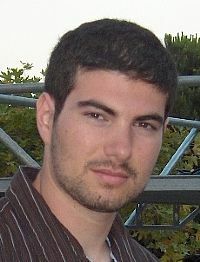 During his second year, Zeev began a research project together with Prof. Noam Ziv from the Medicine faculty on synapse formation in neuronal cells: "Discovering New Membrane Proteins in Synapse Formation"
Recommendation to Program participants: "follow your passion."